The countryside in June is utterly lush. Before leaving home for work this morning I took the opportunity to pick a bunch of flowers from the garden for the shop. I simply cut single stems of one thing, two or three stems of something else, just whatever took my fancy until I’d made up a sizeable bunch. There was no real editing as regards colours with one exception – I still can’t get my head around bright yellow flowers, but apart from instinctively ignoring that part of the spectrum, all other colours were allowed. I included a few stems of herb robert, that seeds itself everywhere, so can be safely classified as a weed, some comfrey and three lovely scented country roses, filling in the gaps with ladies mantle. So far my arrangement has sparked off several conversations with customers and many admiring comments. 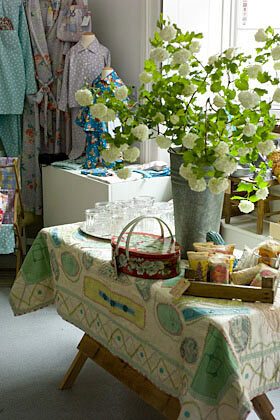 Now, not only is the countryside out there rich and verdant, my shops pretty damn floribundant as well. 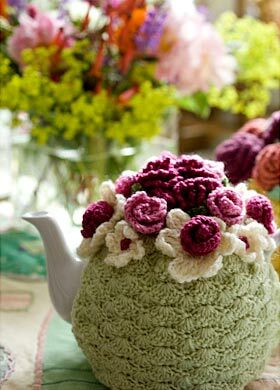 Oh by the way – fabulous flower topped handmade tea cosies, exclusive to The Laundry can be found here. I grew up in a town and cordial was something you bought from a shop. 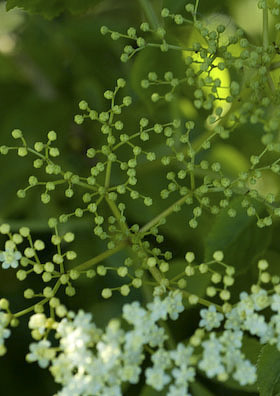 When elderflower cordial became available in foodie shops and subsequently became very fashionable, to me it was as if it had only just been invented. It is of course a traditional drink that country folk have been making for centuries but that had never, to my knowledge, made it as far as the industrial north of England, not into our house at any rate. It is as easy as anything to make and round here, right now, the trees are heaving with these fluffy cream fragrant blossoms. 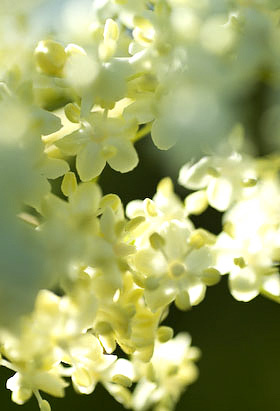 Now is the best time to go out foraging to pick elderflowers and stock up with cordial. The flowers are best picked on a sunny morning, when the warmth of the sun encourages the release of their exquisite floral scent. 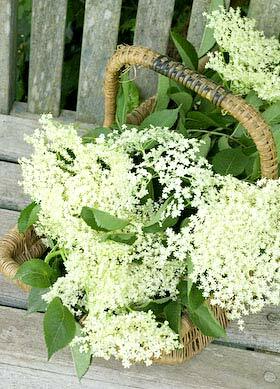 Choose fresh clean flower heads that are just off white to pale cream and discard any that are starting to yellow, then shake the flowers, face down, so any creepy crawlies fall out. Sniff the blossoms, ditching any with an unpleasant cat-pee vibe and go only for the sweetest floral scented ones. 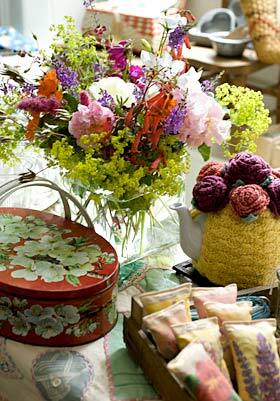 Go to work making your cordial as soon after gathering the flowers as you can. As mentioned in my last piece, citric acid can usually be bought from your chemist and apart from that ingredient, everything else is straightforward, just water, sugar, lemons and oranges. Place the sugar and 1.2 litres (2 1/4 pints) water in a large pan and warm slowly, stirring to dissolve the sugar, then bring to the boil. Add the flowers, bring again to the boil then remove immediately from the heat. Add the citrus fruits and citric acid, stir together, then leave covered in a cool place for 24 hours to steep. 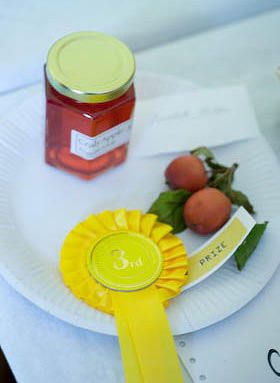 Strain the cordial into clean dry sterilised bottles with clip tops or corks and label with the date. The cordial will last for a month or 2 unopened in the fridge. Once opened keep refrigerated and use it within a few weeks. 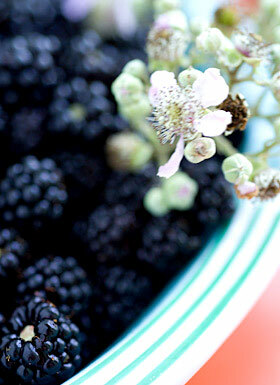 You can freeze it in plastic containers, in which case it will keep for 6 months or more in the freezer. 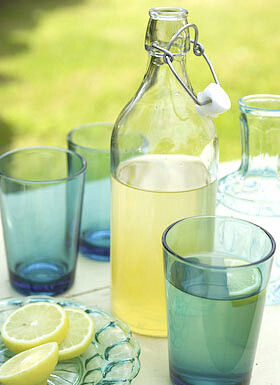 Serve diluted with still or fizzy water to taste or use this syrup to flavour jams, desserts and icings. The viburnum opulus I planted in my garden 20 years ago would have been the first thing I planted after moving in. 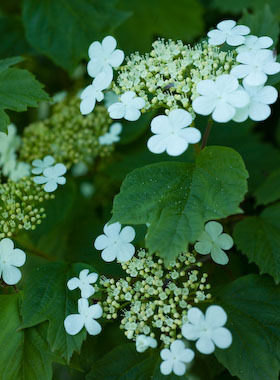 I knew this shrub as guelder rose, and went to a garden centre to order one. A couple of weeks later when I returned to pick it up, I was presented with a gerber rose, a pink rambling country-style rose with a leggy habit! It seemed that fate had meant me to have this rose so I took a philosophical view and planted the rose in the garden instead. So that was the first plant I planted after taking residency. The guelder rose became the second. Now, 20 years on, my little shrub has become a massive fully grown tree that straddles the borderline between mine and my neighbours garden and every year, during May, it gives a really spectacular display, covered in pom-pom blossom that is totally lovely. I like it best when the flowers are just beginning to open, when they are a subtle shade of greenish white, and the balls of flowers are still quite small. The whole process begins and ends within the month, ending up with the big blowsy snowballs going over and dropping the individual flowerlets all over the garden in such abundance it looks as if it has snowed. While the flowers are in bloom they look great used like cut flowers in a large container and I have been using them over the last few weeks to decorate the shop. 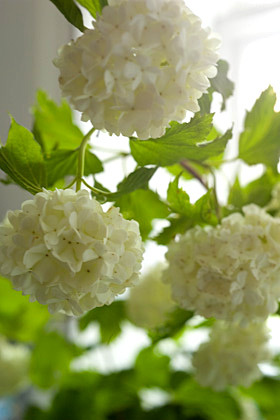 The display has provided a real talking point and customers have come up with several other names for the shrub including snowball bush and Whitsunboss. 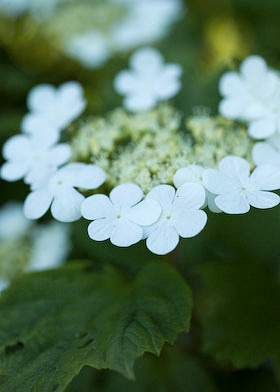 This variety of viburnum opulus is the sterile one more likely to have been commercially bred as a decorative garden shrub. The non-sterile version, often found in amongst the hedgerow, has much more modest blossoms but saves its real splendour for the autumn, when it produces bright red translucent berries that look like they are made of glass, very like redcurrants. Sterile flowers around the edges of the flowerheads open up but the smaller fertile inner flowers in the centre, when pollinated, will become the berries later in the year. Here follows a description captured in biological jargon about the blossom, which I think sounds strangely poetic: ‘Inflorescence – Terminal, flat-topped cymes. Compound and resembling umbels, to +13cm broad. 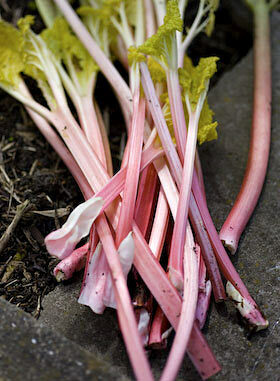 Stalks glabrous to very sparsely pubescent.’ Both varieties have beautiful coloured foliage in the autumn. 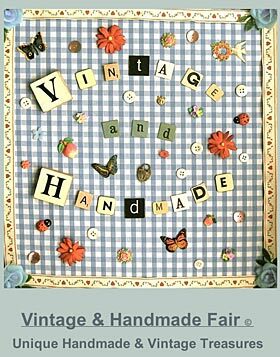 If you are in the vicinity of Chipping Sodbury this Saturday make sure to call in at The Vintage & Handmade Fair being held in the Town Hall. The Fair is organised by my friend and badge card supplier, Michelle, of the Cowboys and Custard blog and there will be other kindred spirited stallholders selling wonderful things. See this website for more information. Being without a car for a few days this week has meant I’ve been walking to work, and even though it has been mainly tipping it down (with rain) it is such a great way to focus my attention on what’s going on around me. I have to make a real effort to live in the moment when there is always so much needs to be done to develop things for the future. It is very easy to let things and time go by unnoticed. 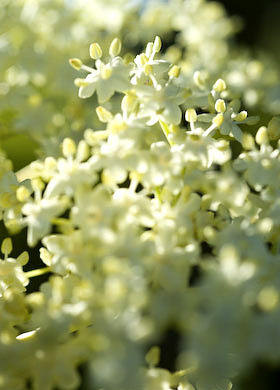 The elderflowers are just starting to come into blossom. I’m glad I’ve realised this as it gives me a week or two to get prepared. 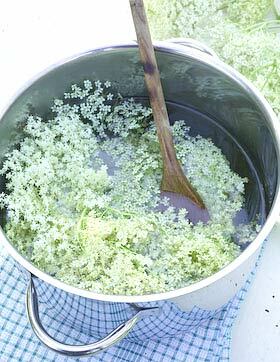 I never make quite enough elderflower cordial, usually only enough to last for a few weeks. I’m hoping to make more than enough this year so I can put plenty in the freezer as well. In the country, degrees of separation tend to be very few. After writing my blog piece recently about the willow fence down the road, within a week or so I had met the fence maker in person, whose handiwork I have been admiring, and was able to get a few facts straight. This gives me the perfect opportunity to update the story. Mark, who works with willow, owns the house and wove the fence, so in effect it is the calling card for his trade. 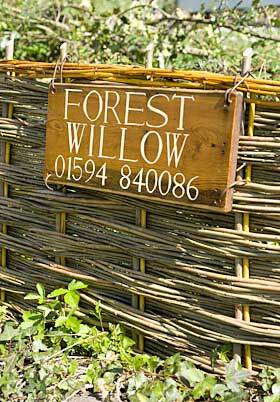 Since I took the last pictures, he has finished the fence very handsomely with a stripe of contrasting yellow willow along the top and put out a sign to advertise his business, Forest Willow. I hope he gets many commissions for his efforts. …..not my words, but those of Reuters. 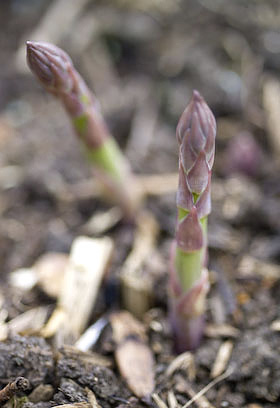 Asparagus is obviously a vegetable that generates strong feelings. 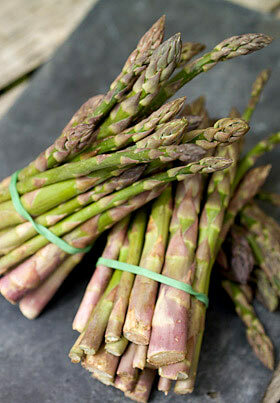 I never buy imported asparagus. For me the whole point is to savour the all too short British season; the 8 weeks that runs from the beginning of May to the end of June, and then it is over for another year. I only really took a shine to this vegetable a couple of years ago. Before that I couldn’t understand what all the fuss was about. I simply hadn’t cooked asparagus in a way that suited me so concluded it wasn’t for me. Now I absolutely adore the stuff and intend to make the most of it. The key for me is to chargrill it and here’s how to do it. Wash the spears and break off the thick woody bit of stalk at the bottom if there is any (the stalk naturally snaps at this point). Blanch them in boiling water for just 60 seconds then remove to a piece of kitchen paper to dry them. Put a griddle pan to heat up, there is no need to oil the pan. 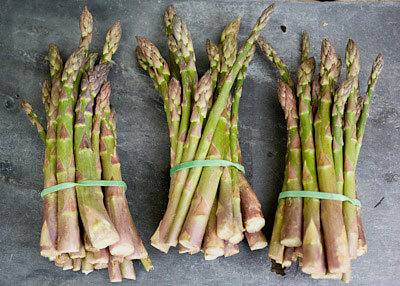 Place the spears on a flat dish, season with sea salt and freshly ground pepper then drizzle with virgin olive oil. Turn the spears over with your hands to coat them, then lay them on the hot griddle, hot enough so you hear them sizzle the moment they touch the ridges. Griddle them for a few minutes (depending on the thickness of the spears) before turning them over and griddling the other sides. You are aiming for some black charred marks where they touch the pan. 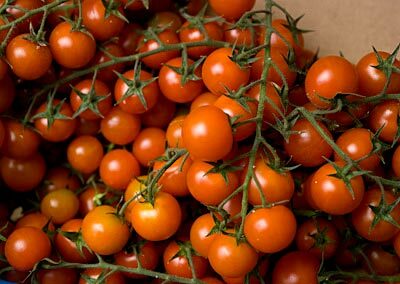 You can eat them just as they are or pile on top of pasta with pesto and finish off with grated parmesan. I can eat them like this every day (for 8 weeks!). I used to chargrill the spears without blanching them first but now prefer them done this way. It cuts down the grilling time and keeps them plump and succulent. One of the great advantages of opening my shop, The Laundry at Taurus, is that La Bodega has become my corner shop. La Bodega, the on-site organic delicatessen at Taurus Crafts is in fact the nearest food shop to my home, but now I only have to walk a matter of yards to pick up ingredients each day for lunch or dinner and I get the pick of the fresh produce the moment it arrives, either just harvested from the nearby market garden or delivered from other local suppliers. 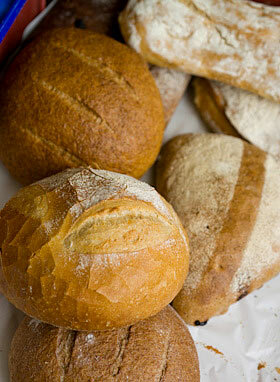 Friday is the day the fresh bread is delivered from a local artisan bakery. I haven’t made a sourdough loaf in ages as it is now just too easy to grab one from the deli. It is such a delicious sight when the trays, piled high with loaves, arrive and I make sure I’m near the front of the queue. 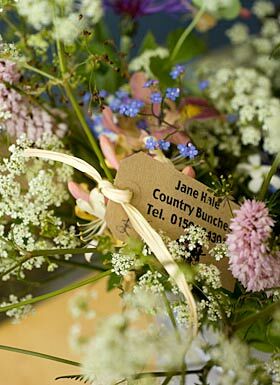 As well as the food and comestibles on sale, my neighbour, Jane Hale, sells her ‘country bunches’ there too; fabulous and subtle bouquets of wild and cultivated flowers and foliage. 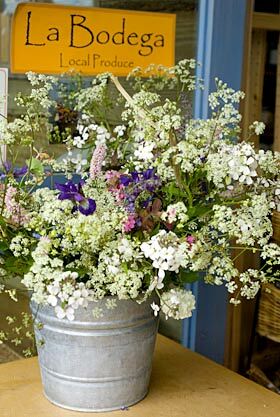 Many of her blooms are grown in her own country-style garden and she mixes in other stems of foliage and wild flowers gathered from the surrounding hedgerow and roadside and she always manages to capture the beauty, colour and fleeting quality of the countryside. Tending an allotment is seriously fashionable these days but setting your heart on obtaining one wont necessarily mean you instantly get what you wish for. 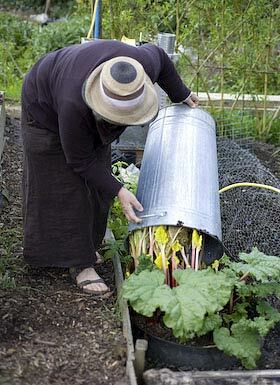 It all depends where you live and how many allotments there are in your area. The Forest of Dean, where I am, doesn’t have any council owned plots at all, as they were all dispensed with after the second world war and what allotments now exist come under the jurisdiction of various local parish councils. 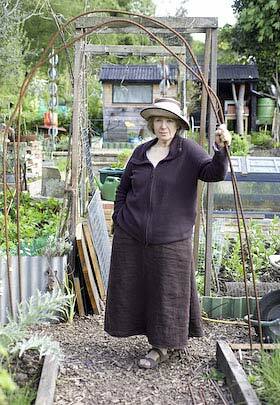 My friend Deborah, who lives in London, was on the waiting list for an allotment for 18 years. After coming across the original letter from the council confirming her application she decided to chase things up and eighteen months ago was at last offered a plot on a site that runs along the edge of Hampstead Heath. Deborah isn’t a person satisfied to simply dig over the earth and plant a few seeds. In the short time since taking the allotment on, a rough unkempt plot has been transformed and landscaped with raised beds, paths and arches using reclaimed and recycled materials. Whatever she does is art. In London for a couple of days, I had Sunday morning free to pop down to the allotment to see how things were progressing whilst Deborah gathered homegrown ingredients for lunch. During the previous week, an impressive new cold frame has been built, seeds have been sown and vegetable seedlings started off in pots have been planted out. Last year Mick, from the plot next door, gave Deborah a rhubarb crown, substantial enough that it is already producing some stems that can be harvested. 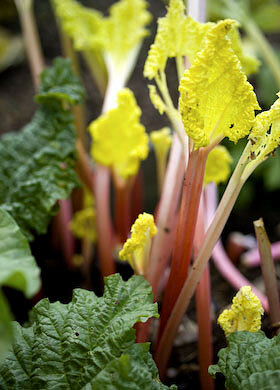 You should normally allow a few years for newly planted rhubarb to become established before picking. 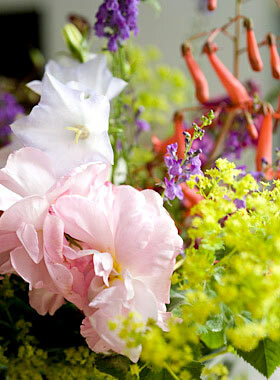 An upturned dustbin placed over part of it to starve the stems of light, revealed an armful of lovely sweet stems, beautifully pink with lime green leaves, when lifted away. Just enough to feed everyone for lunch. That was pudding sorted.